The two cotoneaster shrubs in my garden are always interesting no matter the season. Stunning green leaves with deep veining, creamy white flowers in spring (sometimes slightly pinkish) followed by red berries that persist long after the leaves have dropped for the winter and an arched upright branching habit. The Cotoneaster genus is huge, possibly 350 or more species (taxonomists differ) and as many as 45 named cultivars. Some species are so similar in leaf and berry appearance that I’m not quite sure if my two are really Cotoneaster lacteus or a closely related species, possibly C. rehderi or even C. rhytidodophyllus. All hail from the Yunnan, Hubei and Sichuan regions of China. 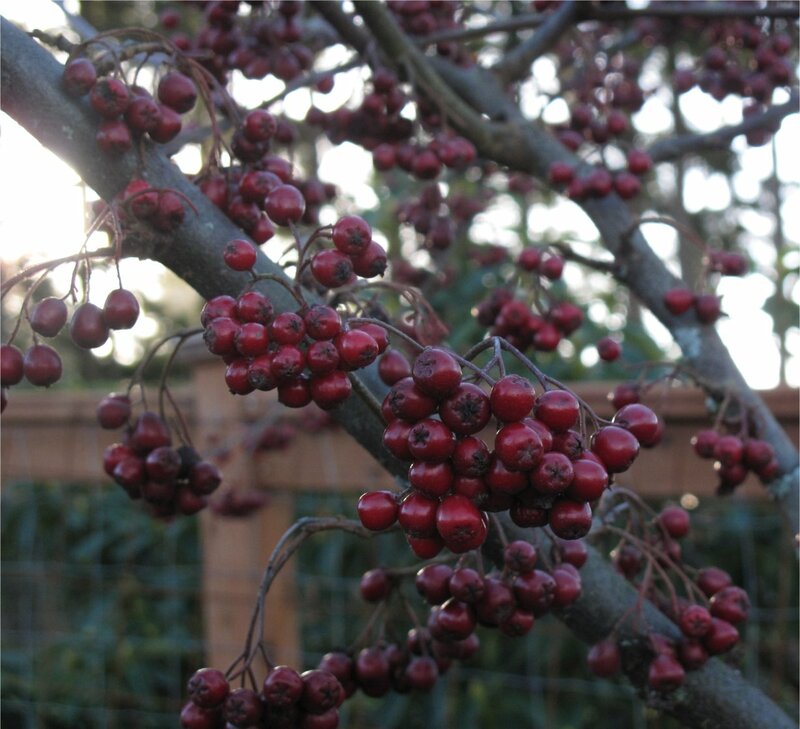 The red berry color deepens as the berries ripen in winter — no matter whether the day is a wintery gray or a perfect blue, in shade or sunlight — the berries are always a special treat to see against the sky. 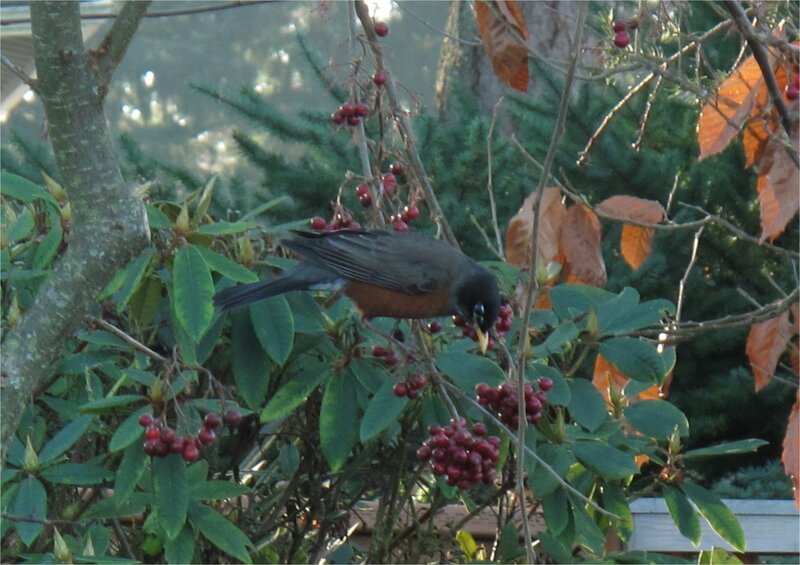 Just a week or two ago, the birds have finally decided the berries are worth eating. 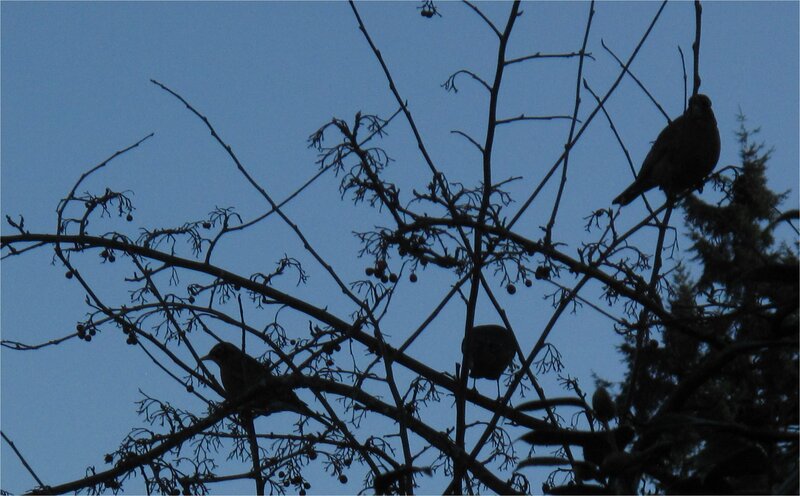 Even in the fading twilight, the fast dwindling supply of berries still attract a few stragglers. In just a few days the birds took care of the ripe berries, but all summer and into the fall they left them untouched so we humans could enjoy them. Both my Cotoneasters are at least 12 feet high and probably volunteered years ago in the two spots where they currently reside. I occasionally discover seedlings and smaller volunteers around the garden. Those are easily dug up and potted on without problems. This winter I’ll work on cutting out the cross branching and refining the shape to show more bare trunks, aiming to duplicate the shape of our native vine maples, which are also easily pruned into multiple trunks. Please prune me as soon as possible, my leaves are gone and you can see my branches. The Timber Press book has 200 Plates with close ups of leaves and berries. 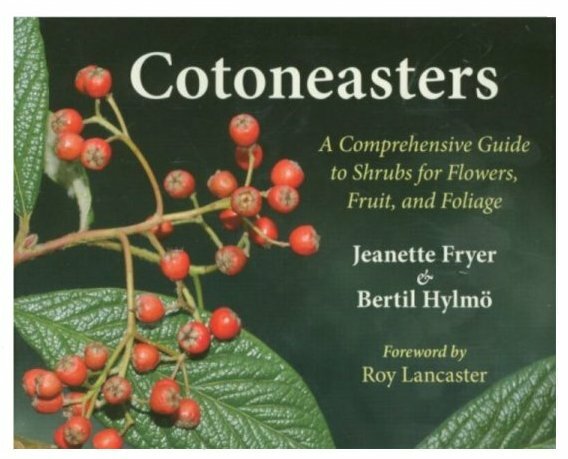 That’s Cotoneaster rhytidophyllus on the cover. Looks a lot like C. lacteus doesn’t it? Cotoneaster lacteus is common in warm temperature zones of both the northern and southern hemispheres. It is naturalized in the United States on the Californian coastal hills, where it is often found in cultivation as C.parneyi hort. 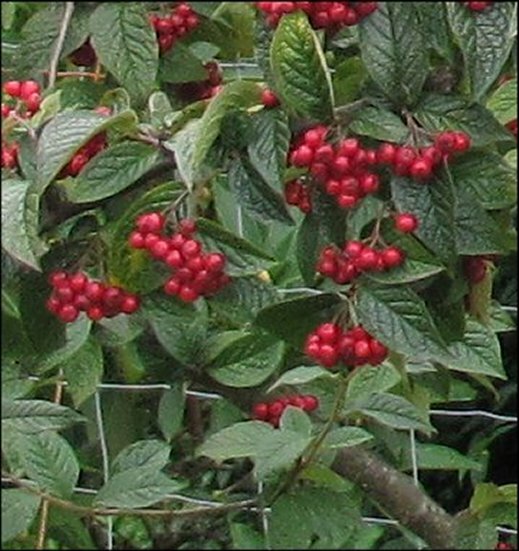 Cotoneaster lacteus is also cultivated in Mexico, Chile, Argentina, South Africa and New Zealand. 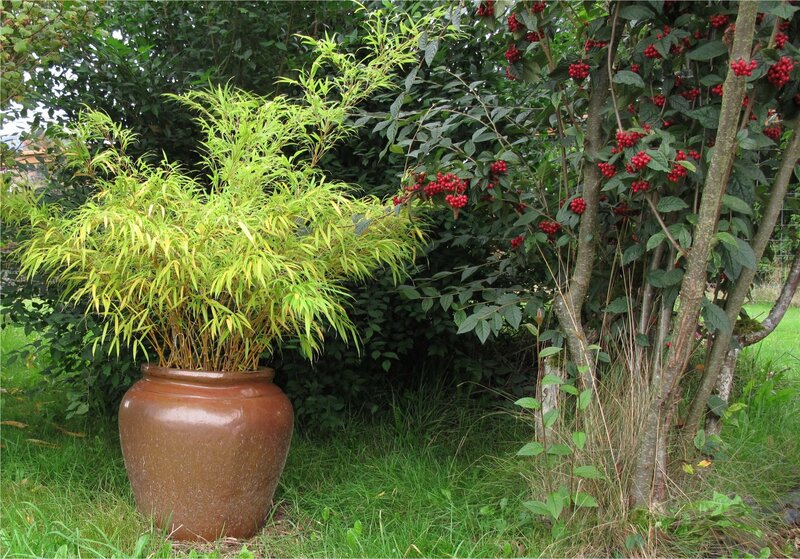 It is a very useful wind-hardy shrub. It can also be grown as a hedge where the summer growth is pruned to reveal the fruit. A magnificent hedge originating from George Forrest’s collection (Forrest 10419) still stands in Ireland’s National Botanic Gardens at Glasnevin, Dublin; planted in the late 1920s, it is now around 6 m high and 3 m thick. 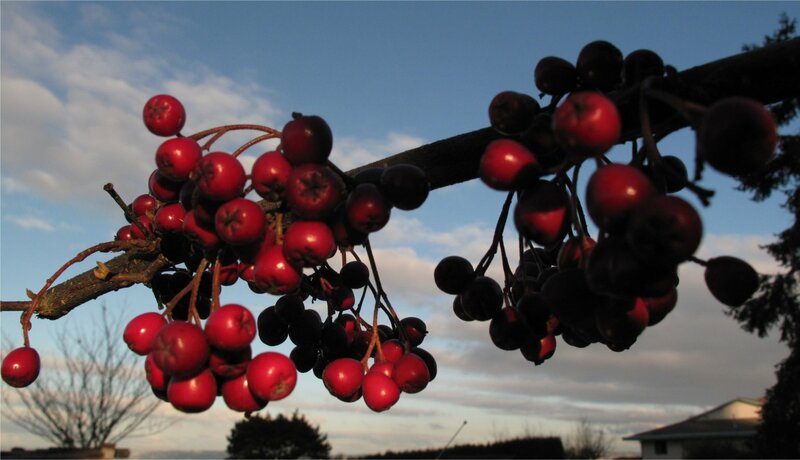 Cotoneaster lacteus has been collected by Jeanette Fryer (JFYU 008) and Keith Rushforth (KR 3929) in NW Yunnan in 1996. Cotoneaster lacteus in spring has striking, erect, tawny-haired new shoots, later covered with flowers which are followed by pretty red winter fruit. Received RHS Award of Merit in 1935 and Award of Garden Merit in 1984. 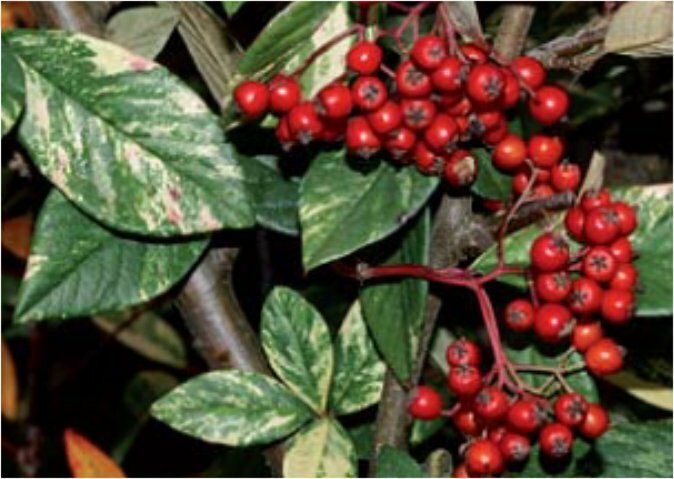 Cultivar: ‘Milkmaid‘ (Plate14), a variegated form, very arresting with fruit which ripens earlier and is shiny red, slower growing than the species. Nonvariegated growth needs to be pruned out. I’m officially on the lookout for the Milkmaid cultivar and now have the Botanic Gardens at Glasnevin on my list of travel destinations! 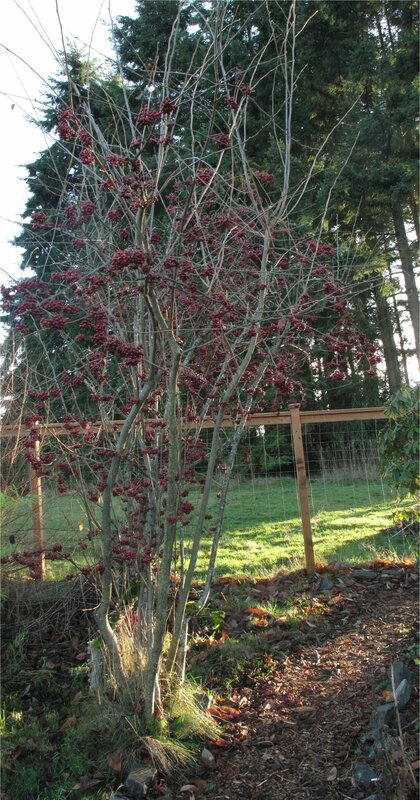 This entry was posted in Plant Picks and tagged Cotoneaster, Cotoneaster lacteus, Cotoneaster lacteus 'Milkmaid', Cotoneaster rehderi, Cotoneaster rhytidophyllus by Bart Arenson. Bookmark the permalink.